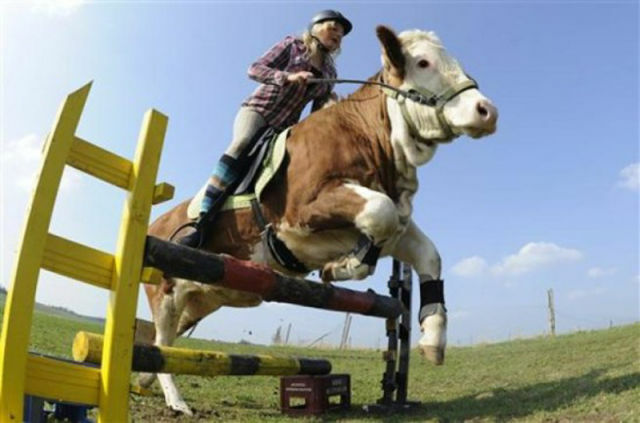 Can you imagine a cow being a well-trained show horse? Thanks to 15-year-old Regina Mayer from Germany it’s now possible. 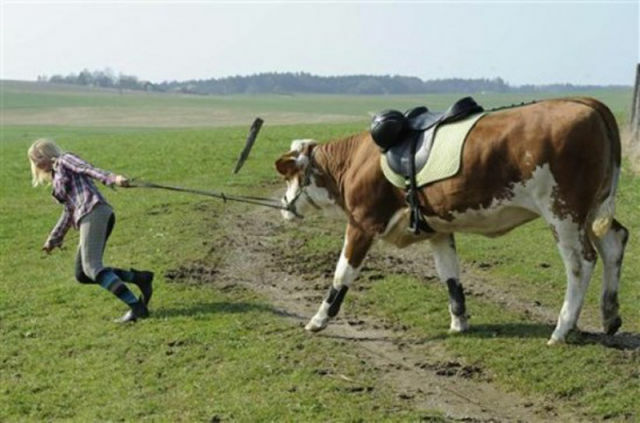 The girl from Laufen always dreamt about her own horse, but her parents who had a stable full of cows refused to get her one. So Regina started to train her pet cow Luna. 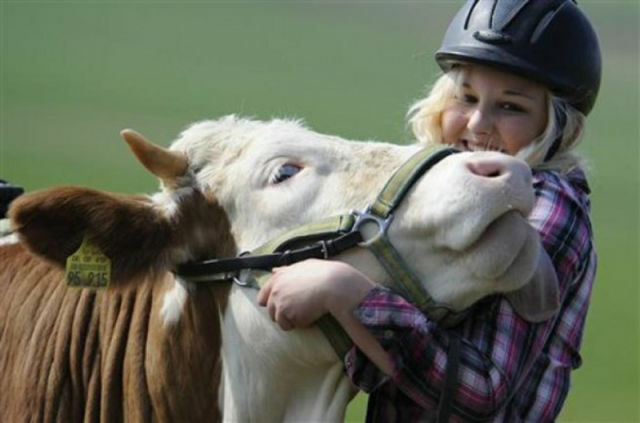 The girl even contacted Switzerland riding school for useful tips on how to train her animal. 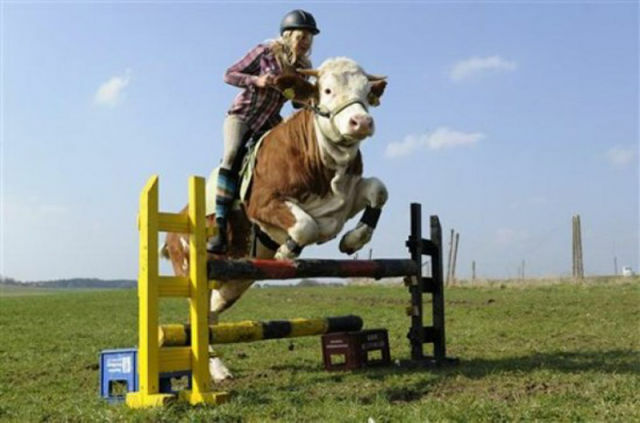 She spent many hours and carrots on training Luna, and eventually she tought the cow to jump over a-meter-high hurdles as if she were a horse.It’s been half a year now as Regina rides Luna. The two friends go for long rides around the countryside. They are used to getting funny looks from people who never saw a show cow. And Regina says she would never trade her cow for a horse. ...and when your bored with riding it, it can feed you and your family for months!